In a deal that shakes up the full-steam-ahead world of cancer diagnostics, the world’s top oncology drug company, Roche, said today it’s spending more than $1 billion for a majority stake in Foundation Medicine and creating a powerful drug-diagnostic collaboration. It’s a significant gamble on the as-yet-unrealized potential of tests that aim for broad genetic profiles of cancer patients’ tumors, one that Roche hopes can not only accelerate the impact of its broad range of cancer-fighting drug programs, but also extend the reach of its global diagnostics business. The deal has three parts. Roche will buy about 15.6 million Foundation (NASDAQ: FMI) shares at $50 apiece—more than double the roughly $24 at Friday’s market close—for about $780 million through a tender offer. It’ll also acquire another 5 million newly issued shares at the same price in a separate transaction, giving the Cambridge, MA-based Foundation another $250 million—and Roche, as much as a 56.3 percent stake in the company. All told, that’s more than $1 billion in cash up front for Foundation. The third piece of the deal is what the companies are calling a “broad R&D collaboration” of at least five years, through which Foundation could pocket over $150 million in additional cash from Roche. The initial focus of that alliance is to develop genomic profile tests both for cancer immunotherapies and blood-based monitoring. Roche will also get international rights to Foundation’s current products, as well as future offerings the two companies develop together. 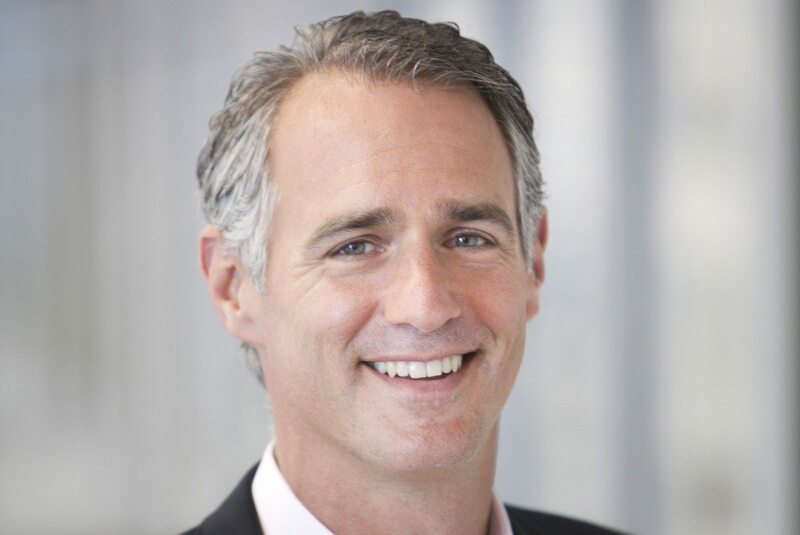 Foundation CEO Mike Pellini (pictured above) said in an interview that the company will still see some revenue from those products, but declined to offer specifics. Foundation’s top three shareholders, Kleiner Perkins Caulfield & Byers, Third Rock Ventures, and Google Ventures have agreed to support the deal and tender “at least a majority” of their shares. They hold a combined 31 percent of the company. The deal is expected to close in second quarter. Foundation will add four new people to its board: three Roche designees, including chief operating officer Daniel O’Day, and one new independent director. “These deals are done once every 20 years. And in the life sciences arena there’s only been one company that’s done that, and that’s Roche—with Genentech, and then Chugai [Pharmaceutical],” Pellini says. Pellini says Foundation and Roche have been working together in “a very limited way” over the past few years, but Roche broached the idea of a broad collaboration complemented by an investment in Foundation, and a majority stake. Although Roche is now Foundation’s majority owner—and has in the past, at least with Genentech, used such leverage to engineer a buyout—the Cambridge company says it’s no given this will end in a similar fashion. “There’s no such thing as forever, but there are components built into the agreement that allow us to stay independent, at least for the near and medium term,” Pellini says. He added that some of those details would come to light on Monday when regulatory documents about the deal are filed. Pellini is remaining Foundation’s president and CEO, and the rest of its executive team will stay in place. Foundation will hold a conference call Monday morning to discuss the deal. The attraction here is obvious. Roche is the biggest maker of cancer drugs in the world. But it also has a sprawling international diagnostics business, and is constantly adding pieces to it. In the past months alone, for instance, it dipped into the world of non-invasive prenatal tests and scooped up Ariosa Diagnostics, and then turned around and bought Bina Technologies, a startup that helps manage the data coming out of next-generation sequencers. The Foundation deal, however, is Roche’s biggest foray in either diagnostics or genomics since it famously tried and failed to engineer a hostile takeover of San Diego-based Illumina (NASDAQ: ILMN). Investing heavily in Foundation is risky for Roche on two fronts. First, it’s a bet that broad molecular profiling will overcome sizeable reimbursement challenges to become part of the standard of care for cancer patients. Right now, it’s more of a desperate measure to help people who have failed a bunch of therapies, as well as a tool for researchers to find new drug targets. With the help of some of the world’s richest people, Foundation has built from scratch what is essentially a one-stop shop for tumor profiling. It has developed two tests: FoundationOne, a diagnostic for solid tumors, and FoundationOne Heme, for blood cancers. With these tests, Foundation looks for hundreds of cancer-related genetic alterations in patients’ tumors and uses that information to suggest treatment options to doctors, who read the reports through an Internet portal. Foundation’s database currently contains about 27,000 samples, up from about 4,000 as of May 2013. The services aren’t cheap. FoundationOne has a list price of $5,800; FoundationOne Heme, $7,200. So part of the company’s challenge is to make them important enough—say, by finding treatment options for those who seemingly have none, or unearthing a tumor-driving gene that has a corresponding therapy that narrower tests would’ve missed—that insurance companies will pay for them. Cancer diagnostics, of course, already exist. Most are focused on single genes known to drive cancer, like HER2 (for breast cancer) or ALK (for lung cancer); or “hotspots” of the genome, as in dozens of the most relevant genes. Foundation is trying to prove that the future lies in gathering much more information about a tumor, and that patients will ultimately benefit as a result. There is a second part of the Foundation business, however, which is where Roche comes in. Its tests have their usefuless in the pharmaceutical business, both for researchers who want insights for new targets, and for clinical developers who want to identify the right patients for their trials. To that end, Roche says it’ll use Foundation’s technology to “standardize” its clinical trials, meaning, Pellini says, that it’ll use Foundation’s tests across all of its studies. Foundation has partnerships with a number of pharma companies in place. Pellini insists that the Roche deal could “enhance” rather than impact those alliances because its capabilities should increase with the Swiss company’s backing. It would ot surprise me if Roche/Genentec expanded their relationship with Samgamo Biosciences. A clear association between sequencing DNA and modifying DNA.